The lawmaker set to concentrate on attracting investments to MIC. 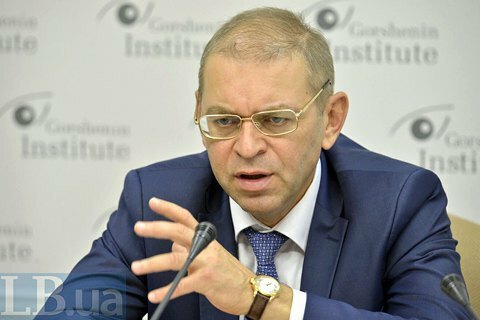 MP Serhiy Pashinskyy said at a roundtable conference in Gorshenin Institute on 5 October that he resigned from his post as head of the supervisory board of Ukroboronprom. "During the Soviet era, an enormous potential of the military-industrial complex that produced everything from intercontinental ballistic missiles and to tanks and other weapons was based in Ukraine," said Pashinskyy. The lawmaker stressed that all this potential was virtually wasted and destroyed over the past 25 years. "When in 2014 we have found ourselves in a war, we had to face it without an effective army and with a lot of defense plants, some of which had trees growing on their roofs. In such circumstances, we had to revitalize the army and our military-industrial complex," he recalled. Pashinskyy admitted that although a tremendous work has been done over the past 2.5 years, it is still far from being enough. "We have met tactical targets, but when it comes to strategic perspective, we arrive a conclusion that the state concern Oboronprom should not exist as it is. Firstly, it is over-structured and over-bureaucratized, which does not allow it growing. Secondly, it lacks new technologies. Thirdly, Ukraine has never manufactured some kinds of weapons, and if we want to have it, we have to start from scratch," he said. Pashinskyy said he did not believe that Ukroboronprom just can develop any further without foreign investment and technologies. In view of this, he decided to concentrate on institutional changes of the nation's defense industry and attracting investors in Ukraine. To avoid allegations of abuse, he decided to step down as Ukroboronprom's COB. "There is an ambiguity in the fact that I am at the same time the head of the parliamentary committee and the chair of the supervisory board of Ukroboronprom. I made a decision and asked the president to be resigned as Ukroboronprom's COB," said Pashinskyy. "I will concentrate on lobbying the country's military-industrial complex rather than Ukrboronprom."